This is a collection of thirteen original essays from a team of leading scholars in the field. 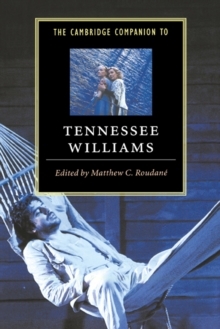 In this wide-ranging volume, the contributors cover a healthy sampling of Williams's works, from the early apprenticeship years in the 1930s through to his last play before his death in 1983, Something Cloudy, Something Clear. In addition to essays on such major plays as The Glass Menagerie, A Streetcar Named Desire, and Cat on a Hot Tin Roof, among others, the contributors also consider selected minor plays, short stories, poems, and biographical concerns. The Companion also features a chapter on selected key productions as well as a bibliographic essay surveying the major critical statements on Williams.